In October, the showiest thing in the garden is the orange trumpet plant that climbs over the top of the fence from next door. The bees love it. 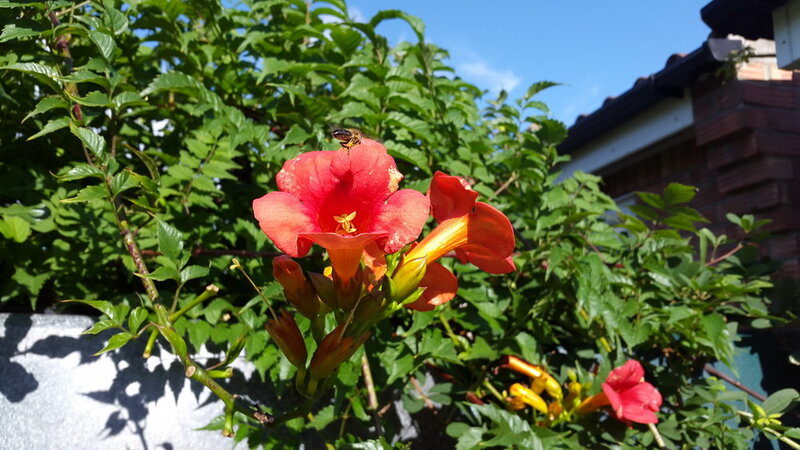 A quick internet search tells me that this is Campsis radicans, the trumpet vine. 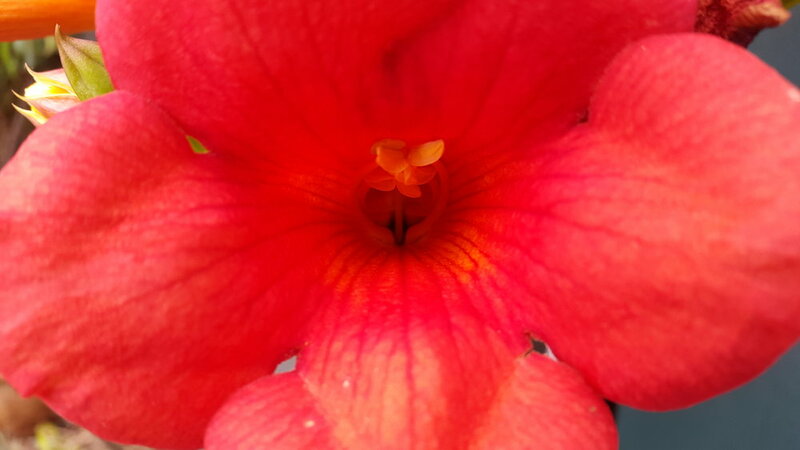 The flowers are big and bright, and they seem to be a source of both nectar and pollen. 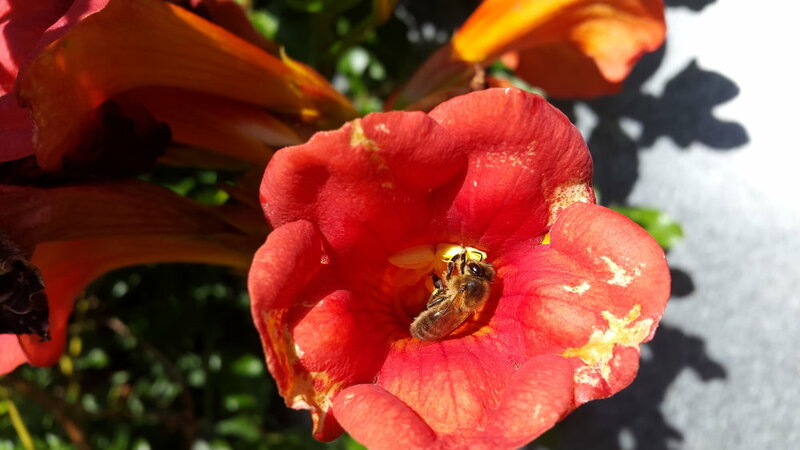 Some bees head right down into the narrow funnel of the trumpet, where there may be nectar. Others are gathering pollen from the yellow anthers further up. But somebody else is foraging here too. This spider has captured one of the bees in a strategically located web!